Do you need a cab right now? Contact us through our form or email or give us a call and request our emergency taxi service. 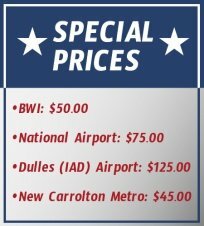 In order to provide Annapolis residents with the most reliable 24/7 taxi service, we take all the necessary measures to ensure there are always more than enough cabs available every day at any time. Whether you have a medical emergency or simply need to get somewhere on a moment’s notice, you can always count on Annapolis Taxi Service to get you to your destination in comfort, safely and on time. To request an emergency taxi in Annapolis now, give us a call at (443) 995-1400 or fill out the online contact form so we can call you back as soon as possible. Please be sure to let us know your location and destination, so we can include an estimate for the ride.